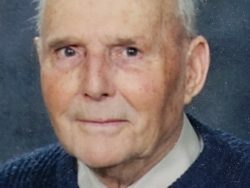 Henk Timmerman - Heritage Funeral Homes Inc.
Henk Timmerman went to be with his Lord on Wednesday, March 20, 2019 in his 87th year. Visitation will be held at Drayton Christian Reformed Church, 88 Main Street East, on Sunday, March 24, 2019 from 3:00 – 6:00 p.m. The Celebration of Life Service will be held at Drayton Christian Reformed Church on Monday, March 25, 2019 at 11:00 am. Followed by interment in Drayton Cemetery. As expressions of sympathy donations to Community Christian School, Drayton or Grand River Hospital Cancer Centre would be appreciated by the family.